Measure gaming performance using rendering, CPU and physics tests. Push the OpenGL ES API to the limit with real-time graphics. Compare device via a complementary online service. Comparable results with 3DMark for Windows 8. The benchmarking app is currently being developed, and the process is reportedly happening in close cooperation with hardware manufacturers, which should translate into more precise measuring. Android has already started catching up with iOS when it comes to games, but it still has to attract developers to publish their titles first on its platform. Other common graphical benchmarks for Android include BaseMark for measuring OpenGL performance and GLBenchmark which also focuses on graphics and OpenGL. 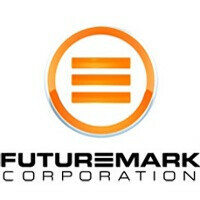 Good to have a benchmark software like 3DMark for a mobile platform. This will help some users to select their game hungry device. agreed. 3dmark has been a standard PC bench for a while. they should be bringing a high quality and in depth bench suite with them. cant wait.